The years 2014 to 2017 have been record-breakers when it comes to climate change events. It is the beginning of a long-term trend following an average increase of one degree Fahrenheit in the Earth’s temperature in the 20th century. To put this in real terms, what may seem like insignificant changes in temperature, have massive consequences in the environment. At the end of the last ice age, when the Northeast United States was covered by more than 3,000 feet of ice, average temperatures were just five to nine degrees cooler than they are today. It’s the promise of the apocalyptic consequences of ignoring climate change that is leading to shifts in how we view our relationship with our home planet. This, in turn, is changing the way we engage with the environment when going about the business of creating wealth and security for our families and communities. Whether we master climate change or become its victim will depend on how actively we address the crisis at both a global and community level. While global initiatives like the Paris Agreement seek to fast track our response to the potential disaster of climate change; communities, individuals, and businesses are finding exciting new technologies that, collectively, just might keep disaster at bay in unexpected ways. One of these technologies is helping us to use heat more effectively and with far less damage to our communities and the environment. Heat And Electricity: Problem or Solution? The main sources of greenhouse gas emissions (GHGs) globally are heat and electricity. They account for 28% of GHGs, compared to agriculture’s 14%, and transport’s, forestry’s, and manufacturing’s 12% apiece. Despite heat being the bad boy of GHG emissions, it has begun to mend its ways and just might hold the key to groundbreaking solutions that will revolutionize the way we heat our built environment. There’s no time to waste. A twist in the tale of global warming is something called rapid Arctic warming, which seems set to create more extreme winters across large parts of the Northern Hemisphere. A new study published in the Bulletin of the American Meteorological Society has found evidence for the first time that wind changes in the stratosphere are contributing to a mysterious winter cooling trend. This suggests that while heat is one of the biggest GHG culprits, the additional demands of a rapidly growing population, along with colder conditions in parts of the Northern Hemisphere, will see an increasing demand for heating solutions. This, in turn, will cause heating GHG emissions to soar. A vicious circle? Not necessarily. Recent innovations are being brought to the market by manufacturers of industrial heaters, taking some of the chill off climate change warnings. Construction heat is the most recognizable form of mobile climate control used on job sites. These units provide temporary facility heat, ground thaw, field equipment repair, equipment thaw, heating hoardings, concrete curing, aggregate heating, drying and dehumidifying, heat for de-icing, emergency or critical heat, heating for tank coating, pipeline thermal expansion, thawing of pipes, pumps, tanks, and circulating breathable air for confined space. Not only must engineers and project managers be concerned with the impact temporary heat has on worker health and morale, productivity, and job quality, they must now also take into account its effect on the environment. 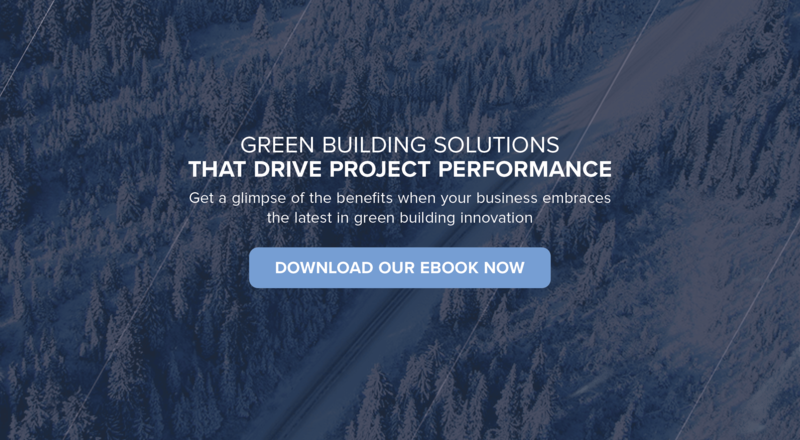 Fortunately, the latest technology in construction heat is setting new standards for GHG emissions, performance, and best practices. The complacency that has dogged the temporary heating industry is beginning to change, but it will need to accelerate its evolution if it is to “do the right thing”, comply with onsite pollution prevention regulations, and make the most of the tax credits for those who comply. There are three types of temporary heaters: traditional direct fired or indirect fired heaters, still widely used today, and the newer flameless heater, which leverages the latest in thermal technology. If you’re still making up your mind about which heater you’d like on your site, this is what you need to know. Direct-fired heaters have a burner that provides hot gasses that transfer their heat energy to a process liquid or gas flowing directly through coils installed inside the heater vessel. The exhaust gas from the fuel combustion is expelled directly into the heated air. As you’d expect, this creates a work environment that does not meet breathable air standards. Indirect fired heaters were created to combat the negative effects of direct fired heaters. Both direct and indirect fired heaters are based on the same traditional platform, but the exhaust of indirect fired heaters is vented to the outside air as opposed to entering the heated air. Although this has improved the quality of air in a space, it has produced a severe inefficiency—a significant amount of heat is lost from the exhaust by venting to the outside. Another drawback is that far more fuel is needed to deliver the same BTU’s (the amount of heat required to raise the temperature of one pound of water by one degree Fahrenheit) to a location. This results in increased fuel costs and higher GHG emissions. The new kid on the block that’s outperforming and outstripping traditional heaters is the flameless heater. This new breed of heater uses technology that creates heat without a flamed source which means the heater has a much lower risk of being a source of ignition for onsite fires. Compared to traditional heaters, flameless systems offer significant gains. Fire-watch manpower is no longer needed because a flameless system significantly lowers fire risk. The self-contained flameless system does not require power from a secondary source which potentially eliminates the costs and massive inefficiencies of utilizing gensets or light towers for auxiliary power. A word of caution: not all heaters on the market that are placed in the flameless category have the same efficiencies. Some heaters are comparable to direct and indirect heating systems, while others leverage the best of flameless technology, like the ultra-efficient range of Northern Shield heaters. Failing to ensure that your supplier is able to back up their flameless technology claims could see you paying more than double the daily operating costs for less efficient flameless units that do not leverage the latest heating systems technology. Flameless systems have more powerful heat delivery systems. And here’s another word of warning: the range of heater performance between manufacturers can differ dramatically with some manufactures stretching the truth or using outright fabrication. Brian Tiedemann, Co-founder and CEO of Thermal Intelligence, creators of the Northern Shield range of flameless heaters and the first ‘Green Certified’ temporary heating business in the world, says that the only accurate way of ensuring you’re getting best-in-class flameless heaters is with independent third-party testing or side-by-side evaluation. This is the only way a customer can be sure they’re getting the value of superior equipment and lower operating costs without compromising heat production. Keep in mind that flameless systems are not suitable for really small heating projects, although the selection of smaller sized units is growing. A drawback of the flameless system is that it operates primarily on diesel fuel and does not support propane and natural gas fuel sources. In the next 12 months, the United States Environmental Protection Agency (EPA) will intensify its efforts to encourage the transition to green building by implementing and monitoring an increasing number of rules and regulations that hold the construction industry accountable for reducing its negative impact on the environment. This includes installing, implementing, and maintaining pollution prevention measures that minimize the discharge of pollutants from construction heaters. Similarly, the Canada Green Building Council (CaGBC) is working to reduce environmental impact through project certification, advocacy, and research. Its Zero Carbon Building Standard sets out clear ways of assessing progress against the objective of eliminating GHGs from building operations and it’s already informing the work of others including different levels of government. Increasing pressure from government to minimize onsite GHG emissions, coupled with more sophisticated applications of flameless technology by a few select industrial heater manufacturers, means there’s never been a better time to use heat more effectively on your construction sites, significantly cut operating cost, improve productivity, and lessen the damage to our communities and the environment in the process.